Borussia Dortmund vs Köln – Saturday 14:30BST/15:30CEST – Signal Iduna Park Dortmund. 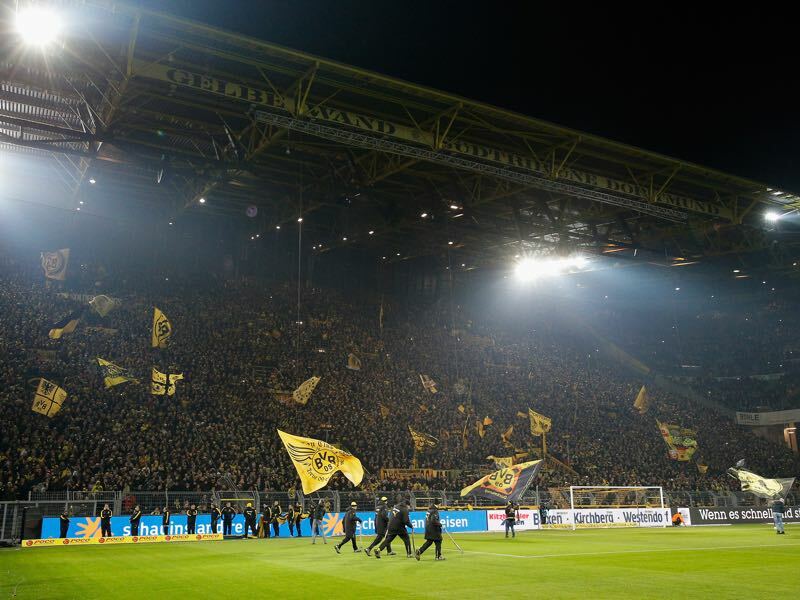 After an impressive display in Munich Wednesday night, Borussia Dortmund return to Bundesliga action this Saturday. FC Köln are in town to try and resurrect a push for European football next season after hitting the rails recently. Dortmund are chasing their third consecutive victory, while their visitors will seek to end their recent run of no win in three games. With BVB unbeaten at home against Köln for 26 years can the Billy Goats buck recent history this time out? Thomas Tuchel described the Pokal Halbfinale win in Munch midweek as “madness”. After taking the lead inside the Allianz Arena the Yellow and Blacks went into half time 2:1 down. However, a second half resurgence by Dortmund blew Bayern Munich away, Dembélé with the crucial third goal sent the visiting fans in the top tier away into fantasy land. With FC Köln unable to register a win at the Westfalenstadion for 26 years, history would suggest another three points are almost a forgone conclusion for Die Schwarzgelben, but they will need to keep their concentration levels high should they wish to end April on a high with four consecutive victories—three in the Bundesliga. It is just under a year since the last visit of the Billy Goats, and memories still are fresh of an important 75th-minute goal by Marco Reus to level the score at 2:2. With Dortmund looking to close the gap on second place RB Leipzig, and pull clear of fourth placed Hoffenheim, another display like those seen recently will go some way to ensuring automatic qualification for next season’s UEFA Champions’ League group stage. FC Köln will look to keep the pressure on sixth place Freiburg with a positive result this weekend. Die Geißböcke had climbed the Bundesliga table into fifth after a slender victory against Pokal Finalists Eintracht Frankfurt on Matchday 27 – However, a disappointing run of results against derby rivals Gladbach and relegation-threatened Augsburg saw them drop out of Europa League contention for next season. An injury time equaliser by Hoffenheim on the last Matchday robbed them of a vital three points, and Peter Stöger will be hoping his side can bounce back from that heartache against a light Dortmund side. The Billy Goats memory will still be raw of the last time these two teams met in the Bundesliga, back in December 2016 and Matchday 14—their hosts snatching a point at the very death with a right footed finished that allowed Marco Reus to score his then first goal of the season. Die Geißböcke will require the highest of focus—missing recently—if they wish to hold on to any positive scoreline that may occur. Likewise, the form in which BVB are in, anything other than a defeat would be a good outcome as Köln try to keep pace with the sides around them. The French winger, come, attacker, has been in fine form this season – However, his display in Munich midweek, coupled with his sweet finish for the winner in the Allianz, capped a coming of age of late. Since his €15m move from Stade Rennais in the summer Dembélé has engrossed all who watch him. Tearing down the left, or right, flanks he puts opposing defenders in a spin. His linkage with top scorer Pierre-Emerick Aubameyang has been a thorn in the side of many teams this season, and as Bayern Munich found out midweek, the teenager also has an ability to pull out a devastating left footed finish when required. 1. 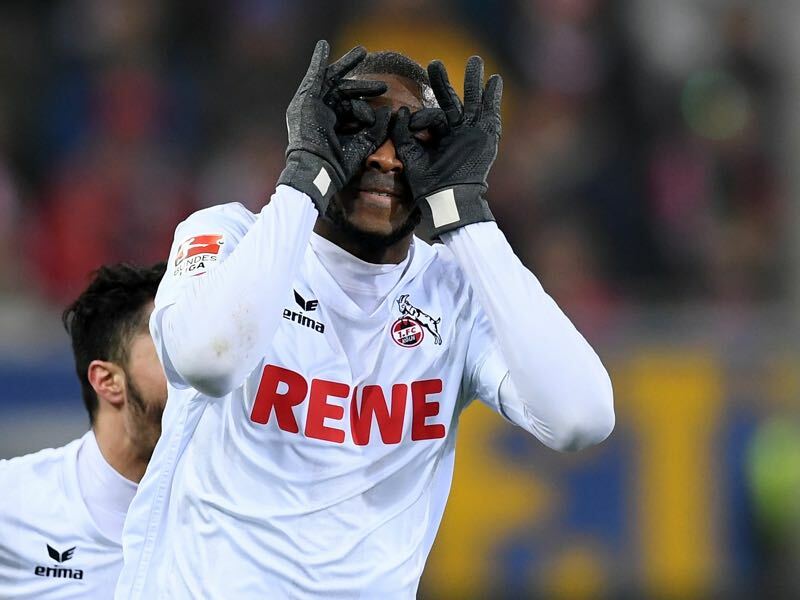 FC Köln have their French threat in the shape of 29-year-old Anthony Modeste. The Cannes-born centre-forward has been a revelation this season for Die Geißböcke, registering 23 goals in 30 Bundesliga games he currently sits third in the race for the Torjägerkanone. Adept at finishing with either foot and his head he can be described as a ‘complete striker’, his hattrick on Matchday nine versus Hamburg, and more recently against Hertha on Matchday 25 show his full worth—be it in the air or on the ground Modest is a potent goal threat. With 15 goals last season the striker is already eight better off, can he finish the season with a Bundesliga personal best of 25 goals? Peter Stöger has never lost against BVB as a coach – W2 D3 L0. The first time these two met in the Bundesliga was in the 1962/63 season – FC Köln winning both fixtures that season. Marco Reus salvaged a point for Dortmund with a dramatic last-minute equaliser against Köln last time the two sides met in December.